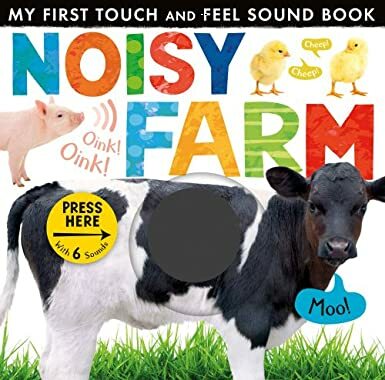 Noisy Farm (My First Touch & Feel Sound Book) (£8.99) is a super cute touch and feel sound book from little tiger kids. It has 6 sounds and lots to touch and feel in the way of textures throughout this sweet little book. It has clear photos and lots about it that will appeal to the very youngest book lover. Would you like to win Noisy Farm or can you think of someone you could give it to as a Christmas gift? If you would like to win simply tell me in the comments below your child’s favourite animal. and let me know in a separate comment that you have. Over 18’s and UK based entrants only pls. No cash alternative. Winner picked at random. Next Post Debenhams Kids Wear Road Test. My youngest daughter loves giraffes! Sloths ever since we saw then at the zoo! My little boy’s favourite animal is a dog, He laughs whenever he sees a picture of one. Chickens, she goes nuts when she see’s them, she just loves them for some strange reason! My son’s favourite animal is a giraffe.